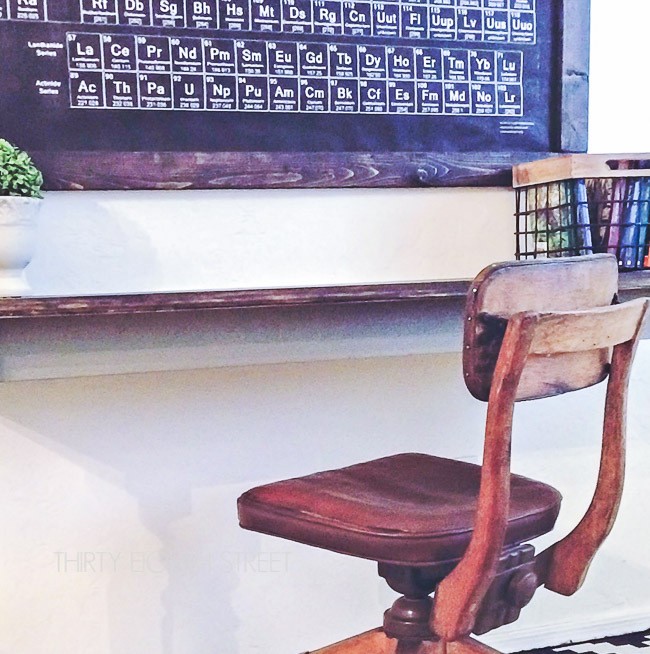 Today, I am sharing a fantastic way to re-purpose an old table and turn it into a rustic and space saving rustic farmhouse desk. Let's face it, space is a commodity! Especially in our kids bedrooms. What if I could show you a way to get two desks out of one ugly kitchen table? 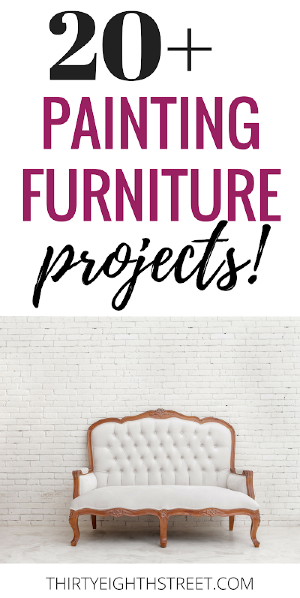 This next furniture makeover is not only going to save on space, it's going to get a lot of bang for our buck! This post may contain affiliate links. Please read our full disclosure here. My children needed a designated quiet space to do their homework but, there wasn't a lot of space for a traditional sized desk. So when a friend of mine put this table up for free, I got an idea! 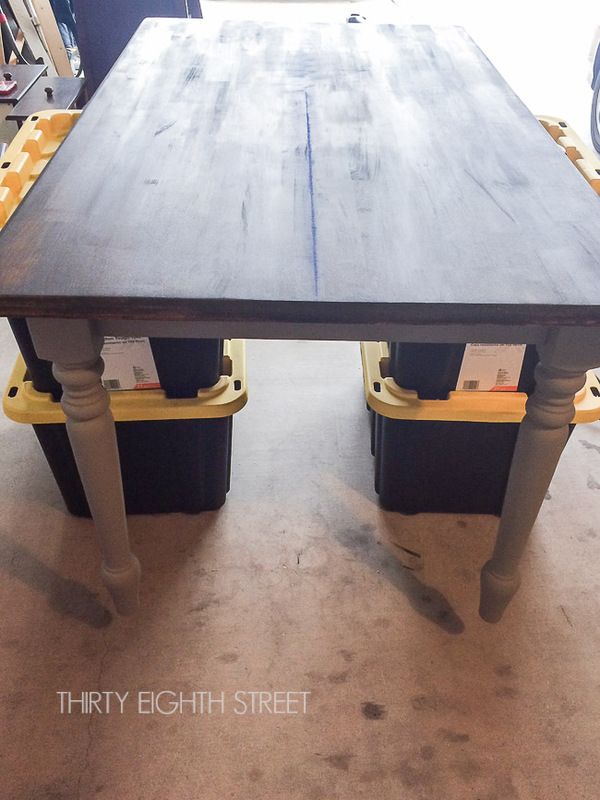 I would cut this old kitchen table in half and create two rustic farmhouse workspaces for my kids! I started by sanding the top of the table down to the original wood. Wiped down the table top, then brushed one coat of General Finishes Water Based Stain in Walnut. This was my first time using a water based stain and I have to say that it went on like a dream! The coverage was superb and clean up was a cinch! The green base was painted in General Finishes new line of Chalk Style Paint in Empire Gray. 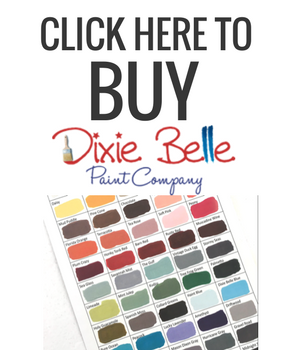 I've tried several chalk style paints over the years and this one has become a new favorite! We made our measurements, then marked our line with a chalk line. 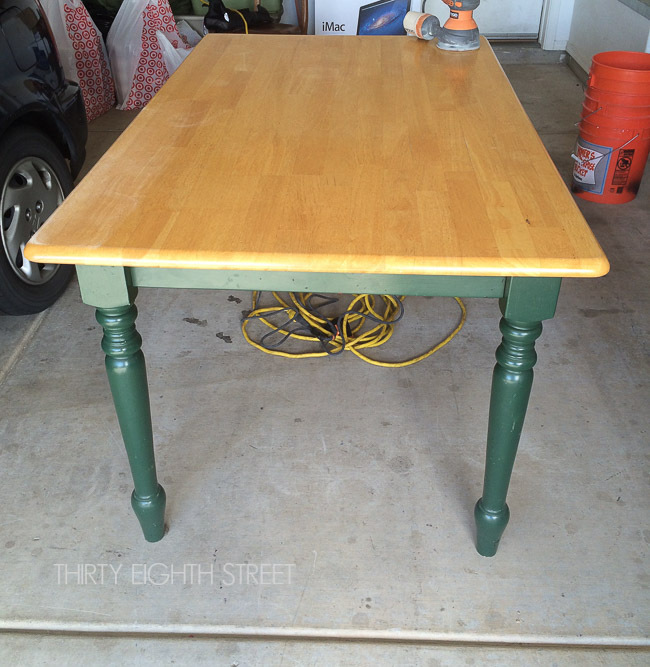 Once the table was cut in half, I sanded the table in a few strategic spots to give it a worn in look. Then, sealed BOTH the stained top and the gray chalk style paint with 2 coats of Flat Out Flat. 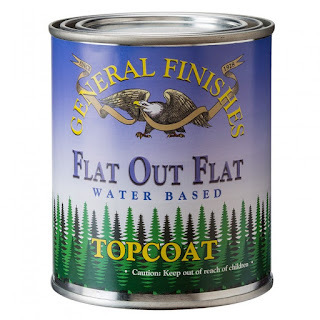 This top coat is incredibly endurable and gives off little to no sheen. If you like the look of wax, you'll be smitten with Flat Out Flat. Plus your arms will thank you because you can kiss that buffing step good-bye! Each of these products are simple and easy to work with and because all of these products are water based, with just a little soap and water, I was done with clean up in minutes! The desk was attached to the wall with a few screws and a couple blocks of wood. 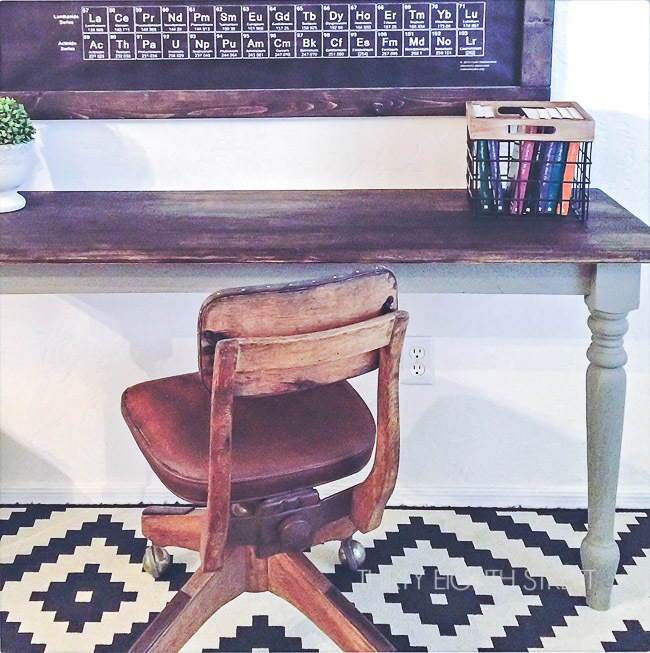 At 18" deep, this table turned rustic work space gives ample room for books, papers and a laptop and checks off every box for EASY, INEXPENSIVE and great for SMALL SPACES! 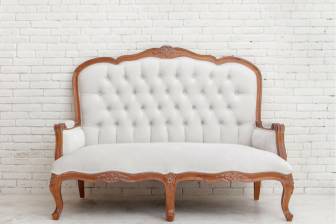 You can also make furniture look rustic with this technique! 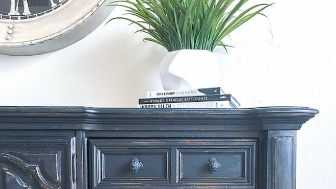 Check out how to make furniture look rustic with paint! Want more space saving and storage organizing DIY posts? 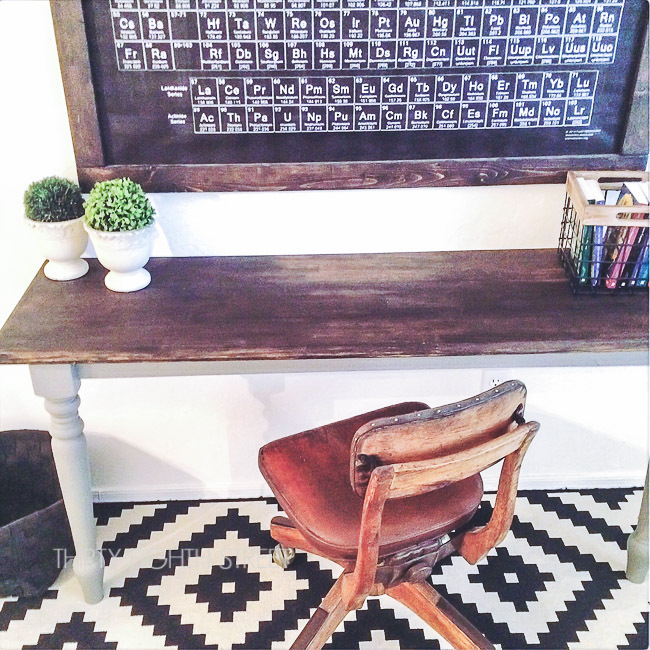 Check out our Industrial Locker Makeover, or our post on Creating A Stylish & Functional Kid's Work Space. 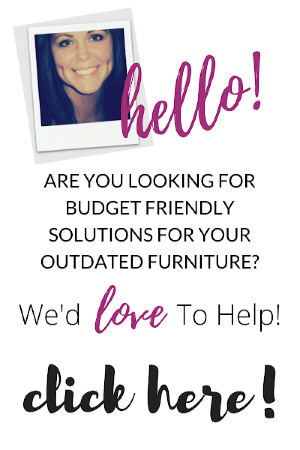 You really turned a dated table into a fabulous and functional piece of furniture. I LOVE them. Thanks for sharing at our first Talk of the Town Party. Glad you liked it! Thanks for stopping by, Betsy! What a great project! Pretty and so functional. Featured at Be Inspired this morning. Thanks so much for sharing! 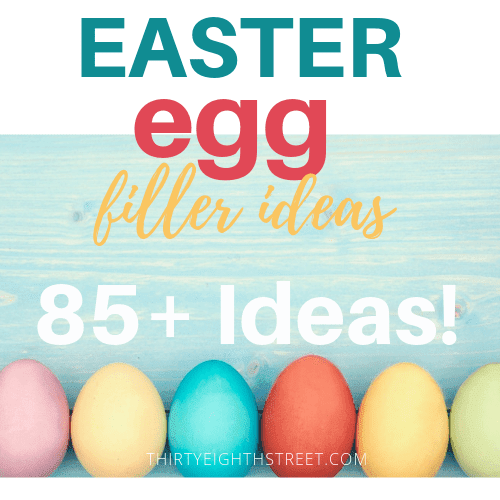 Wonderful idea! 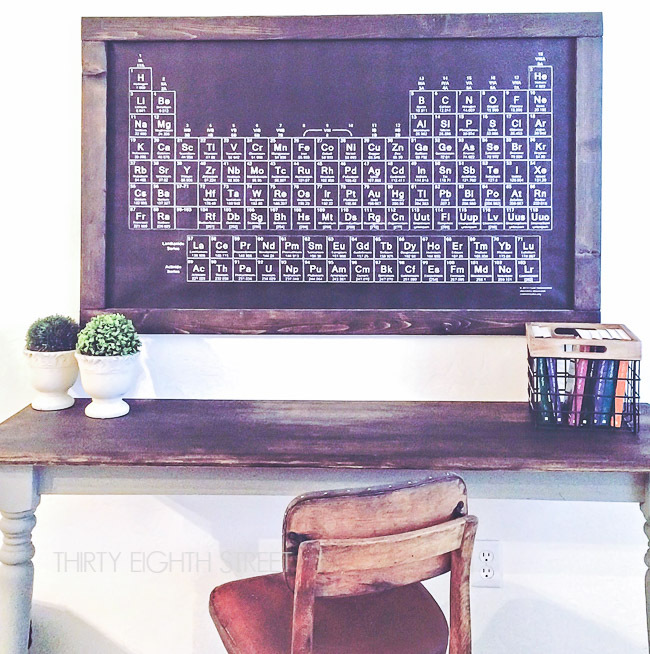 Where did you get the periodic table wall hanging? What a fabulous table transformation. Thank you for sharing it at Shabbilicious Friday this week. I'm delighted to be featuring it at tomorrow's party. This is brilliant and absolutely beautiful! Thanks so much for sharing it at Grace at Home. I'm featuring you this week! Please share information about the periodic table! I love it, did you make that? Nice recycle Carrie! 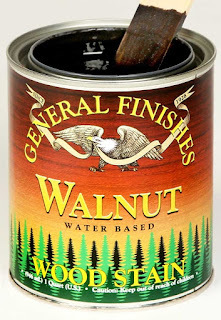 I'm going to have to give that flat out product a try, could have used it on my project for sure! 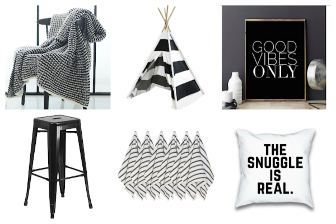 Love that wall art as well! I'm a fan of the Flat Out Flat... it's the perfect amount of sheen for chalk paint! 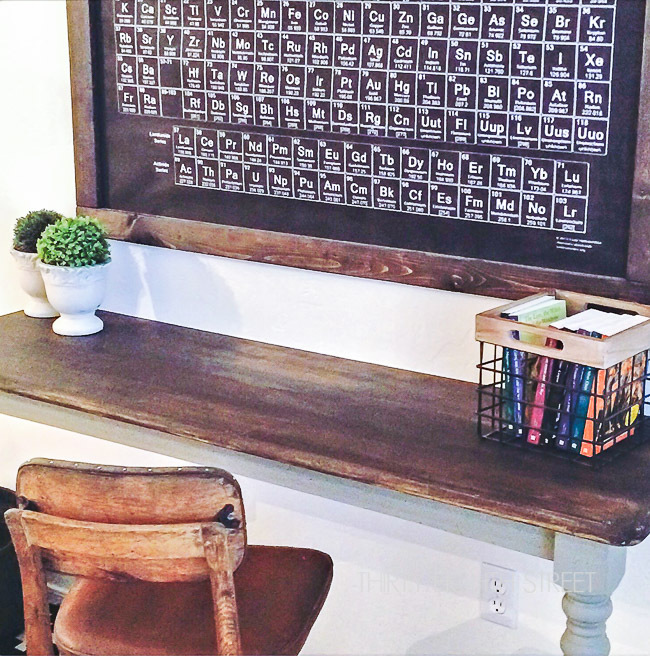 Super creative use for that old table - I love it! Thanks, Dee! It was super easy! Oh my gosh - love, love, love! 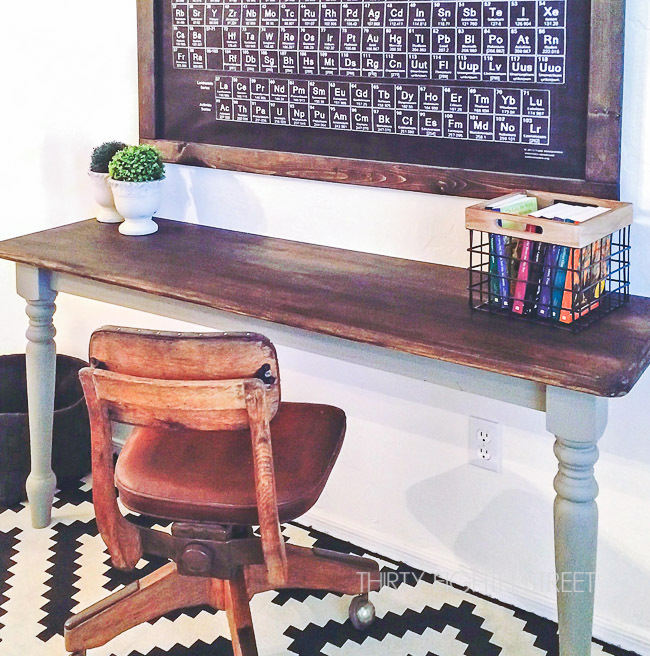 What a great repurposing of that old table! And love the rustic look. Really cool! Thanks, Vanessa! It was a fun one to do!